the Cost of Growing Up! Next Sale: March 14th thru March 17th !! Having such a great big space allows Consignor's items to be organized, showcased, and sold! The Spring/Summer Sale will feature items like shorts, jeans, short-sleeved shirts, bathing suits, Summer dresses, and dress-up costumes. 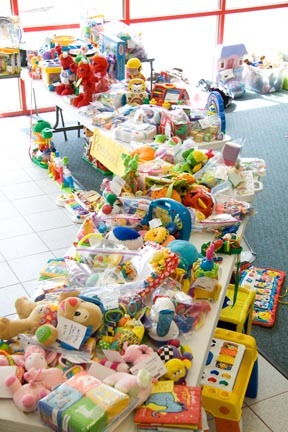 As always, we will have an extensive selection of baby equipment and toys for all ages. Toys are a HUGE seller, but remember Clean brings in the Green! Make sure toys and equipment are clean and in working order with batteries. We always accept jeans, no matter what the season! Spring and Summer CLOTHING AND EVERYTHING ELSE RELATED TO KIDS! 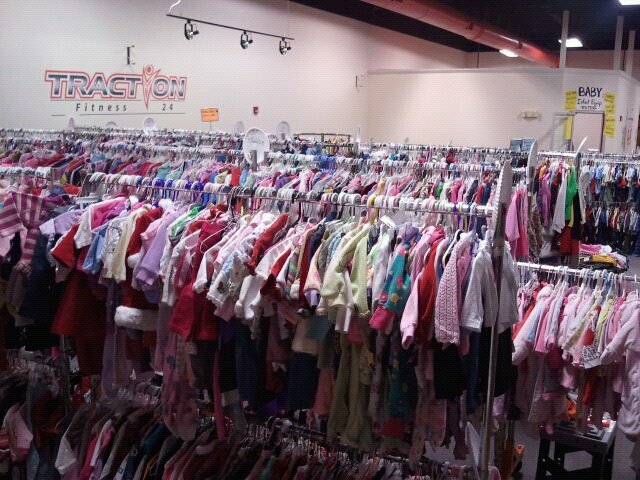 What is a kid's consignment sale? We are a group of Moms, Friends, and Consignors that gather all of our gently outgrown clothing, strollers, bouncies,toys, DVDs, sports equipment and books and sell them at drastically discounted prices twice a year. Parents have a hard time keeping up with the costs associated with growing kids, sports activites, and changing tastes. New clothing for every stage can be expensive. Why not make money from selling those outgrown items? Use that money to buy updated clothing at the sale & save even more!! 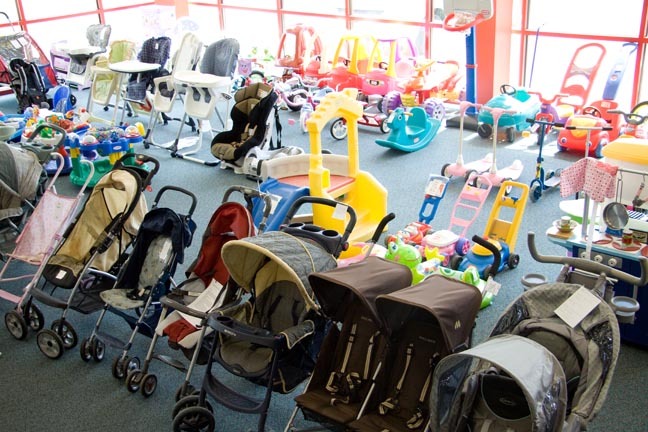 Also, Consignment is a great way to recycle those bulky baby items once your child has outgrown them too. Strollers, port-a-cribs, bouncies, swings, and exersaucers are big sellers and won't end up in a landfill if we pass them along to other moms and grandparents. As a consignor, you price your own items & make 70% of every item sold. Click here to register to consign! Welcome! 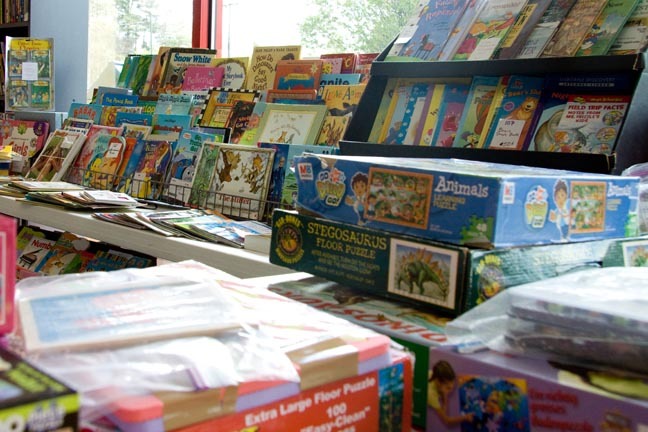 Attention School Teachers, Preschool Teachers and Child Care Providers: SHOP FIRST!!! Come on Tuesday, 3/13 for first dibs BEFORE I open to the public. Click here to sign up for our Mailing List. Not ready to consign, but love to shop? Sign up here for details about future Sales.